Travelling on business trips can be clumsy and tiresome. Here is what you can look forward this time. 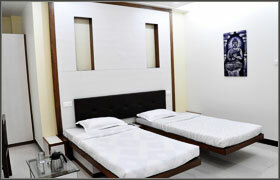 We are having 45 standard rooms with spacious contemporary suite to rejuvenate your senses giving you the best amenities. Have frequent business visits & desiring the solance of your home? 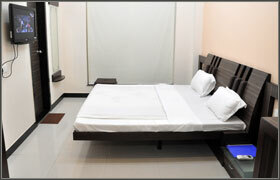 Check out our 20 Deluxe Rooms. Having essential business aids, this room is expendiently designed to make your business trip full of leisure. 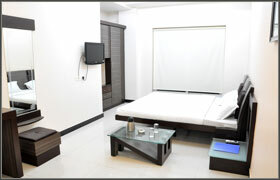 Executive room is designed with a Royal finesse with 15 executive rooms, this executive room is to pamper you completely. Whether you are on a social visit or on a holiday, you can unwind your visit.